I wrote my own auto-biography when I was four – my mother still has it. I made it up out of paper and with a felt cover and illustrated it (my drawings are pretty much the same level as then, though I like to think my writing has improved). In it I even described my own death at the grand old age of twenty-eight – apparently I was to die in a hot air-balloon accident. Funnily enough I was given an opportunity to go in one at around the same age – I declined and lived long enough to become a proper writer. Not that I’m aware of. I write a number of different genres, in different names, and I’d like to think that I can turn my hand to a number of styles. Oh paranormal! I just can’t get enough of ghosts and things that go bump in the night. The book is based on the story told to me by a friend about another friend. She was being plagued by the crazy ex-wife of her husband. As it happens, this woman had become obsessed by the idea that she had a whole gamut of angels looking after her. There’s always a working title. Sometimes my publishers keep it, on other occasions they ask me to rethink. On this occasion the working title was kept. I just finished The Wedding Gift, by Kathleen McKenna. It was gripping – one of those books you feel grief for when it finally ends. Tonight will be a ‘new book’ night – which means I’ll take myself off to bed nice and early with a cup of tea and my seriously overloaded Kindle. I haven’t decided which book to read yet, but I’m toying with the idea of re-reading Marya Hornbacher’s astonishing memoir on eating disorders, ‘Wasted’. I’m very interested in psychology – I think most writers are. I still haven’t got round to reading ‘Life of Pi’ and I’m really looking forward to reading Charlotte Castle’s ‘Simon’s Choice’. She is a ‘stable-mate’ of mine (we have the same publisher) and it has received rave reviews. 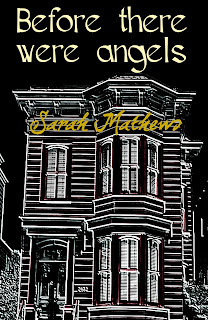 I’m writing the sequel to Before There Were Angels, amongst other writing projects. 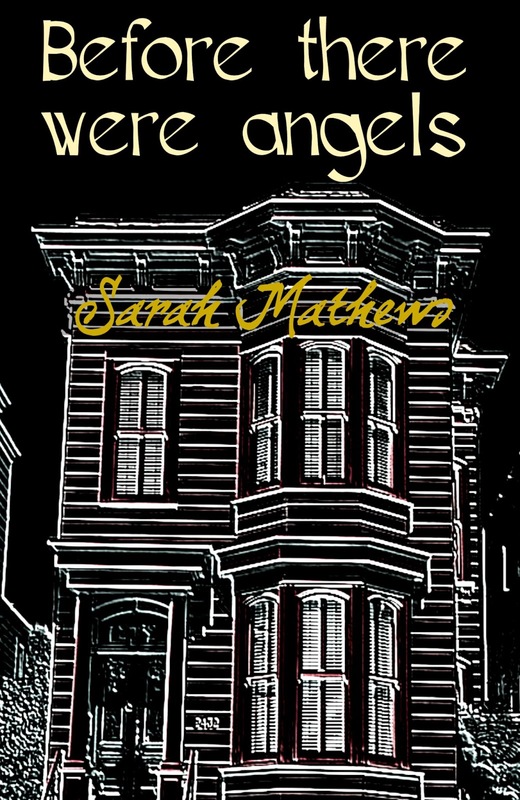 Before There Were Angels is set in my beloved home town of San Francisco, so for this one, no. But I have hopped on planes and crossed the country just to visit reputedly haunted houses before. Some writers can write without visiting a place, but for me I simply have to experience the atmosphere, sounds and smells of a place to write about it. My publishers handle it. They are rather sweet and unlike most publishers do allow me a say in the final artwork, though ultimately the choice is theirs – they put the money up, after all! Be ruthless with your own writing. There is no point in clinging to paragraphs that don’t work because you think the writing is pretty – it probably is, but you will write other pretty paragraphs – you must keep the plot moving forward and you must make the reader care. Reader’s don’t care about colourful adjectives – only writers do. Write for readers, not yourself. I would say the Carmina Burana, but that’s been done in The Omen. Something creepy – with lots of twanging strings and dischords.